The use of data is always tricky. You can make a point by carefully selecting your data. Freakonomics make that point below. 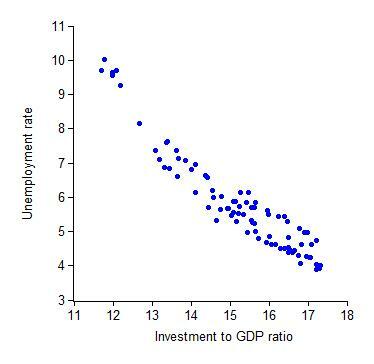 In addition, even if you show that X and Y come together, that does prove if low unemployment causes investment or does investment cause low unemployment. It likely a good idea to think about the biases of any author, even one you like. 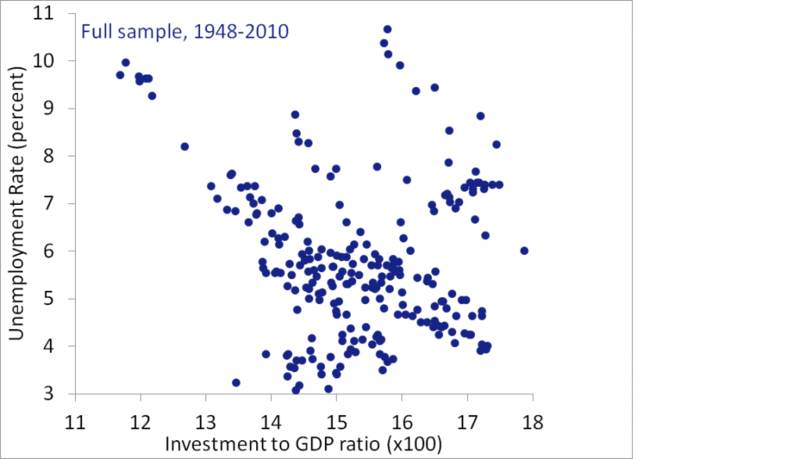 The data on spending shares show that the most effective way to reduce unemployment is to raise investment as a share of GDP. Hmm… What conclusions should we draw about this relationship? And now why do you think Taylor began his sample in 1990? There’s no doubt that the strength of the correlation is impressive. But when you look beyond the cherry-picked sample, the correlation is a decidedly unimpressive -0.14. Here’s my conclusion: On balance, times in which the investment share is higher, are slightly more likely to be good times. But I’m not sure why. 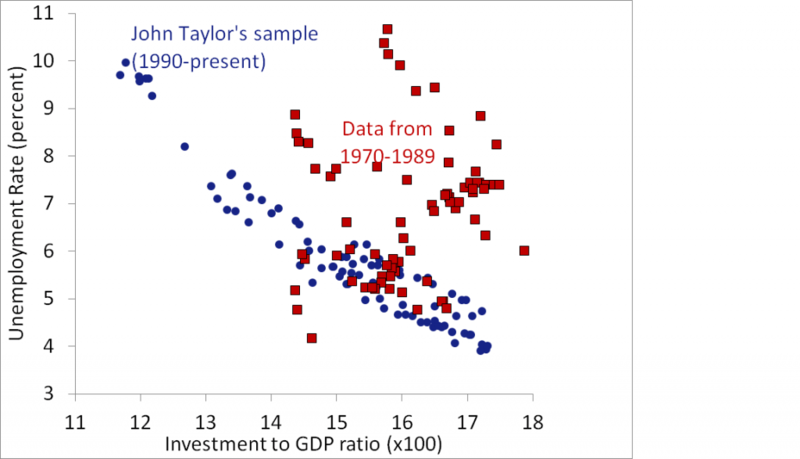 Is it—as Taylor asserts—that high investment shares create good times? Or is it that good times encourage investment? Or is it a third factor—perhaps in good times the government doesn’t need to prime the fiscal pump, and so the investment share is higher? Or is it something else? Be wary of economists wielding short samples.